If you have ever fancied checking out Pablo Escobar’s mansions then I have good news as one of his former homes has been turned into a luxury hotel. 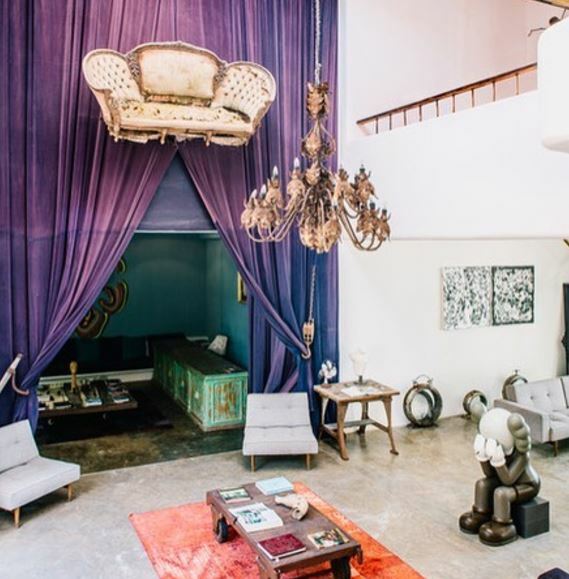 The former Colombian drug-lord’s mansion in Tulum, Mexico, has been transformed into a 35-room gorgeous hotel called Casa Malca and you can stay in it. After Escobar’s death in 1993, Mexican police seized the property and refused to sell the estate to anyone. However, Lio Malca, an art dealer from New York, found out that the estate had in fact been sold back to the original owner and that you can indeed buy it. Then I found a broker who told me it had been returned to the original owner [before Escobar]. I asked around to lawyers and government workers and learned that I could in fact buy it. Malca quickly brought the property originally intending it to be a holiday home. I purchased the property because I thought it was insane. I could not believe that in this world, a property like this still exists and hasn’t been taken over by a corporation. The estate is as luxurious as it can get with hammocks, beach hideouts and Malca’s own range of art pieces placed throughout the hotel. A night at this stunning hotel will cost you at least £380 but it is a small price to pay for a night by the pool sipping cocktails in the same place the infamous drug-lord lived. At his peak Escobar was the seventh richest man in the world raking in $420 million every week. Responsible for around 80 per cent of the world’s cocaine, Escobar smuggled 15 tonnes of coke into the U.S. every single day earning him the appropriate nickname, The King of Cocaine. If you have ever dreamt about what life as a kingpin would be like, a night at this hotel is certainly a much cheaper and risk free way of trying it out.